Not paying your invoices on time or at all so it impacts your business, your cash flow and your ability to pay your own bills. Pressurising you for discounts and lengthier credit terms which again impacts your business profitability. Some are just downright mean and not pleasant to deal with. Ultimately there comes a point in every freelancer's life whether you are a freelance pattern cutter, grader or designer when it's time to fire your most difficult clients. But before you do that make sure that you are doing everything you can to minimise the negative effects of difficult clients. For example, improve your negotiation skills so that you negotiate better deals in the first place. I mentioned this above but it's worth emphasizing separately. Constant changes can make doing business with some clients difficult to the point where it is just not worth doing it. We all face demands in the hectic world we work in and none more so than the world of fashion. So we have to expect changes. Often these occur because the client has had an external factor change on them. I always try to be supportive of these clients and do the best I can to accommodate and support them. Other times, however, the constant changes are the result of poor planning, little consideration and a lack of research. It's important then to ensure you do enough groundwork with the client beforehand asking appropriate questions to challenge their thought process to see just where they are up to. A client that doesn't appear to have thought things through is most likely to be the one that changes. My advice is to be part of their 'thinking through process' and try and get in on the act early. Then use good questioning techniques to challenge and support them. This will help them through their creative process because your questions will interrupt their train of thought and uncover areas they haven't yet considered. And if they have you will get to understand more about the work you are about to take on. Obviously, you can do the same later in the timeframes but with less influence over the outcomes. Most freelancers in any field have spent a few years at least working in full-time employment. They learn their skills at someone else's expense. They get their training and development under their belt paid for by their employer. Then when the time is right they make the leap, set up on their own and enter the world of self-employment and freelancing. Then reality strikes. Suddenly they spend less time doing what they trained to do and now do all the tasks that go with running a business. The skilled pattern cutter now has to learn the skills of negotiating contracts, dealing with business accounts, finding new clients, networking, chasing unpaid invoices, negotiating with landlords for their studio space etc. All of these areas require us to learn new skills and become business people first and pattern cutters second because unless we are successful business people we will never be able to grow our pattern cutting business. es and doesn't seem to worry about the risk these present and still they insist on trying to hit the deadline then it creates pressure for everyone. That's why it's important during your negotiations to uncover any time pressures your client is under because a client with time pressure is more likely to pay a higher fee. If they want it that badly there is a premium to pay for getting it done within tight deadlines. 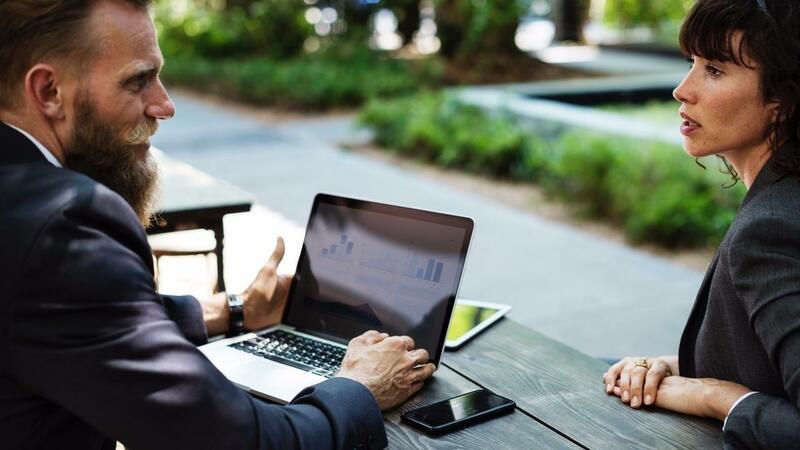 Finding the right avenues for the right prospects, connecting with them, convincing and converting them into clients is a daunting task for anyone fresh into the freelance world. And it is a task that never ends. Managing your pipeline of future workloads is critical to avoid the feast or famine periods of business which requires another set of skills which we will be exploring in a future post. There's one last challenge that I want to mention. Every freelancer should develop their negotiation skills. It's a life skill that will serve you well in all areas of life from dealing with designers to negotiating with the lenders, landlords and website developers. Entering into any negotiation situation without the necessary skills means you are the one that is likely to come worse off. 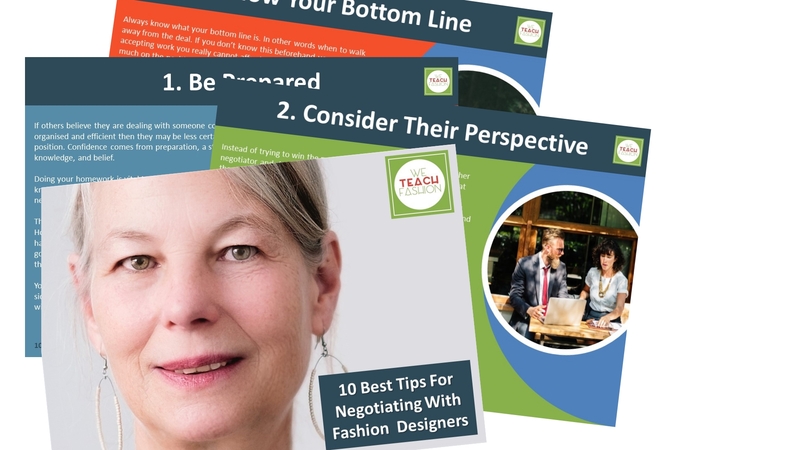 We've written a FREE guide called 10 Best Tips For Negotiating With Fashion Designers which you can download and use immediately to improve the value of your projects. It's an excellent guide and should be used by any freelancer that wants to negotiate better deals, win more work and delight more fashion designers.